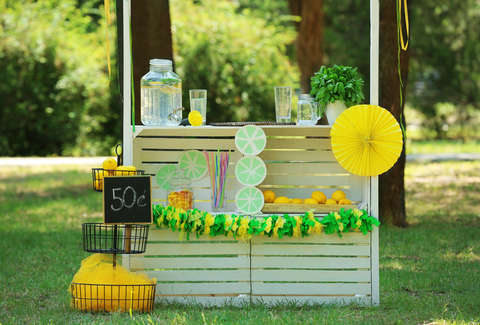 The lemonade stand is a tried and true American institution. It's how enterprising young kids learn the value of hard work by peddling sugary water to their neighbors. And for one 6-year-old in Atlanta, Georgia, it presented an opportunity to amass a windfall and donate it to an important cause. Shannon Cofrin Gaggero's son managed to raise $13,000 in six days by just hawking lemonade, and the big-hearted youth decided to donate all the profits to immigrant children separated from their parents at the United States border. The Gaggero's goal was initially $1,000, which they earned in three hours, reports the Atlanta Journal Constitution. But their profits soon ballooned. After raking in around $1,100 from their physical lemonade stand, donations started pouring in via the event's Facebook page. Two-hundred pledges streamed into Gaggeros' virtual cash box, leaving them somewhat blindsided by all that money. Instead of tucking away the proceeds for a college fund, the family donated them to the Refugee and Immigrant Center for Education and Legal Service (RAICES), a Texas non-profit that offers low-cost legal aid to immigrants. With decidedly un-American things happening at the border, a little kid decided to bank on his community to care for those in need. Consider it a small sign that we haven't fallen into complete entropy just yet. Sam Blum is a News Staff Writer for Thrillist. He's also a martial arts and music nerd who appreciates a fine sandwich and cute dogs. Find his clips in The Guardian, Rolling Stone, The A.V. Club and Esquire. He's on Twitter @Blumnessmonster.